Glascock was tight lipped on the specifics of his day. He advised he got lucky, catching his fish on spinnerbaits, crankbaits and various other baits. In second for the boaters, Cavin Young of Prince George, Virginia weighed in a five bass limit weighing 15.51-pounds. His catch was anchored by a bass weighing 4.93-pounds. Also being the highest finisher in the Triton Gold program, Young qualified for additional monies from Triton Boats. “I think I had around 12 keepers today. I caught my keepers on a spinnerbait and a jerkbait,” said Young. Taking third for the boaters Mike May of Simms, North Carolina weighed in a five bass limit weighing 14.87-pounds. “I had 9 keepers today. I caught them on a spinnerbait, a jerkbait, and a rattletrap,” said May. 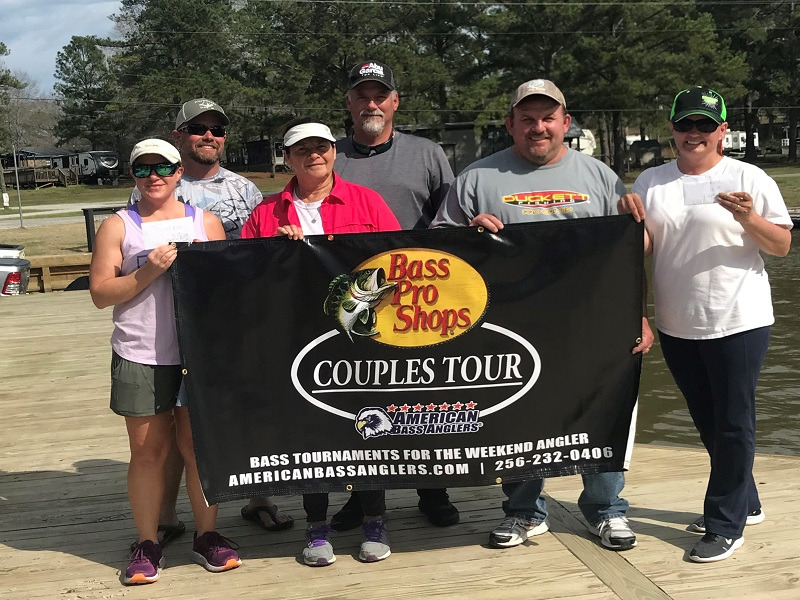 In fourth place for the boaters, Ryan Harrell of Roanoke Rapids, North Carolina weighed in five bass for 14.43-pounds. Rounding out the top 5 James Taylor of Ruther Glen, Virginia weighed in five bass for 14.18-pounds. Taking big bass honors on the boater side Tyler Calloway of Blairs, Virginia weighed in a bass at 5.73-pounds. He took home $690.00 for that bass. 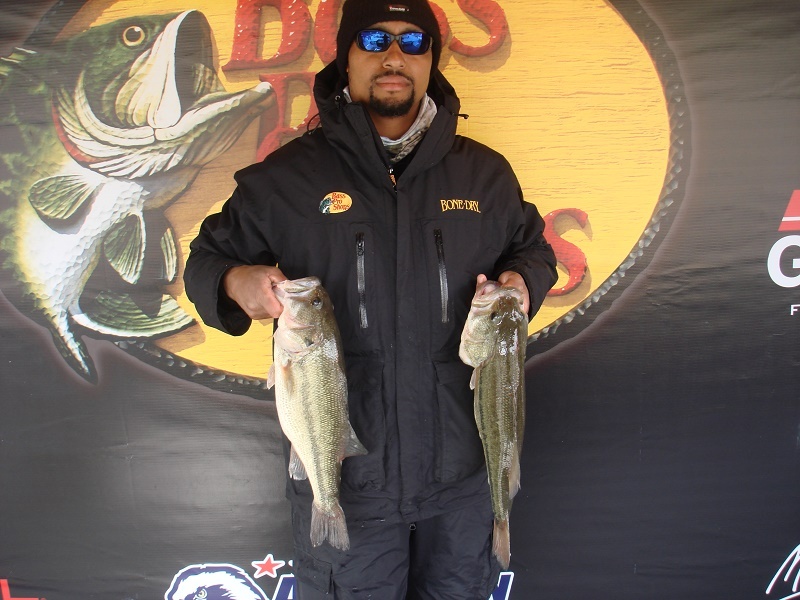 In the Co-angler Division, Roderick Mangum of Durham, NC weighed in three bass for 13.13-pounds. His catch was anchored by a bass weighing 4.58-pounds which was the largest bass weighed in by a co-angler. Mangum took home a total of $885.00 for his win. 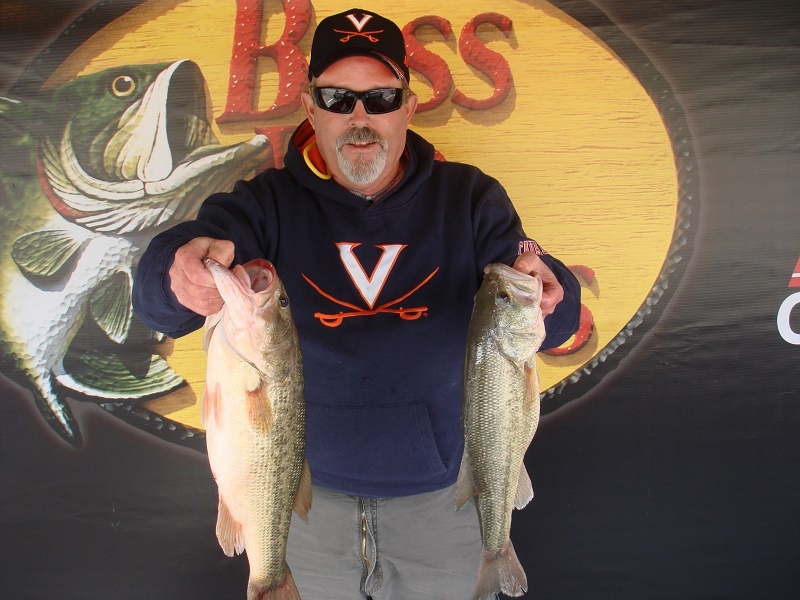 Taking second for the co-anglers, Jim Lewis of Bracey, Virginia weighed in three bass weighing 8.60-pounds. His catch was anchored by a bass weighing 4.02-pounds. Taking third for the co-anglers, Kevin Jones of Sanford, North Carolina weighed in three bass for 7.50-pounds. “I had three keepers today all caught on a crankbait,” said Jones. In fourth for the co-anglers Randy Walsh of Stafford, North Carolina weighed in three bass weighing 7.16-pounds. 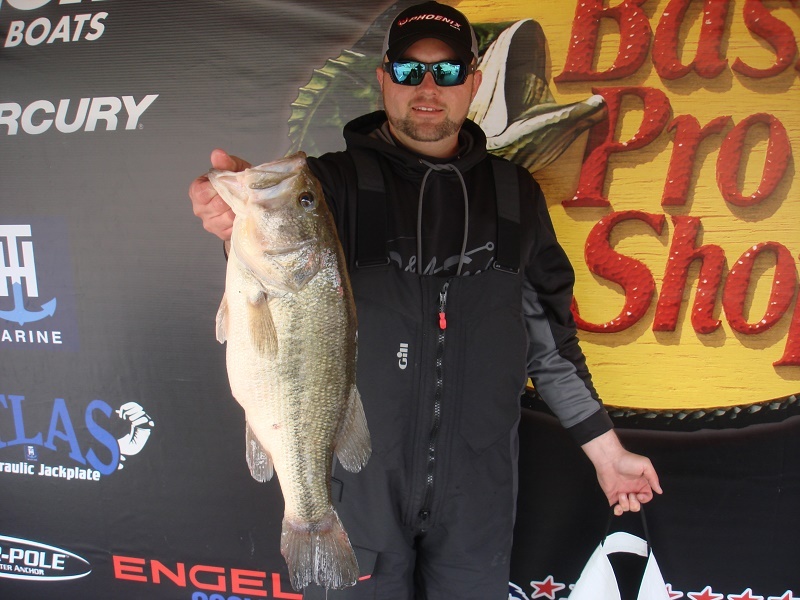 Rounding out the top five Dylan Walsh of Greensboro, North Carolina weighed in three bass weighing 6.91-pounds. 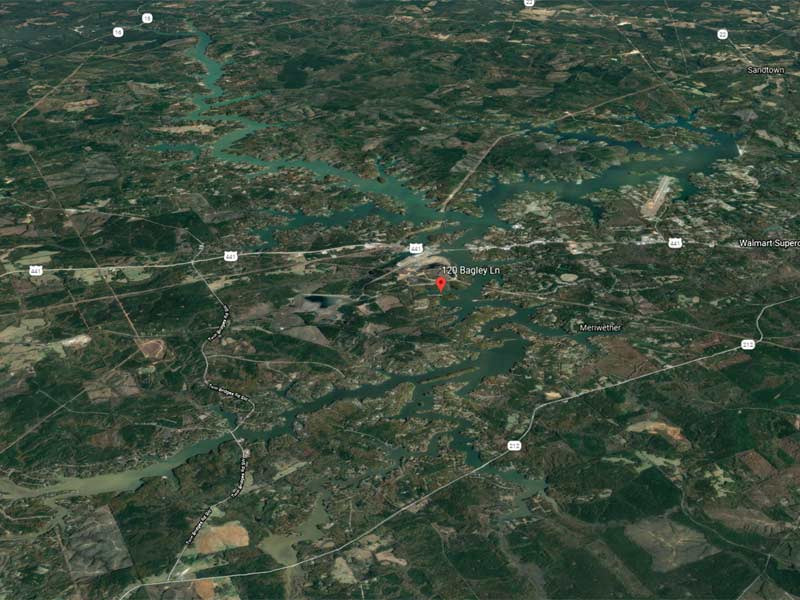 Slated for March 23, 2019 the next event for the Virginia Division will be held on Lake Gaston, launching from Holly Grove Marina in Bracey, Virginia.